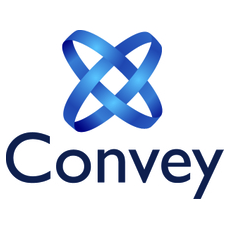 Convey Services is in the business of empowering companies to deliver training, content and events quickly, efficiently and inexpensively with their online platforms. Channel Accelerator helps master agents and sales partners accelerate revenue by connecting them with new providers who have become "channel ready." Providers offer a variety of services including IoT solutions, cyber security, financial services, or healthcare technology. Providers sign a Channel Accelerator agreement that let a master agent and their partners sell services right away. IoT Channel Accelerator creates opportunity for telecommunications and cloud partners to generate revenue from IoT applications and services. The burgeoning IoT Channel represents $1.7 Trillion in new market opportunities worldwide by 2020, from your existing client base. The IoT Channel Accelerator has sourced the best IoT providers and made sure they are ready to support the channel, assist in the sales process, and manage the customer experience you expect. The IoT Channel Accelerator comes complete with automated email marketing campaigns that you can deliver to your customers and prospects.